Dan’s Landscaping Company is a professional San Luis Obispo Irrigation System Installation Company in California. We offer superior landscaping services and products for both residential and commercial at an affordable investment, without sacrificing quality and design. Our experienced team has over a decade of industry level experience. We can tackle any landscaping project large or small. A professionally installed sprinkler system will provide water for your lawn or plants on a schedule. There are two types of watering systems: overhead sprinklers and drip irrigation. Traditional sprinklers are widely used for lawns, while drip lines work well for garden beds. If you are especially concerned with water usage a drip system is a good option. Careful planning & strategy goes into every individual sprinkler head selection and installation. It guarantees the most comprehensive yard coverage possible, spraying water where you need it and in the proper amount. This minimizes water waste and concentrates moisture directly on all targeted plant life. The type of San Luis Obispo Irrigation System Installation to have done, you should consider which areas of your yard that you will need to water. Watering needs are different for grass than they are for shrubs or trees. If you have existing landscaping, new sprinklers can be installed to support what is already there. If you are planning on installing new plants it is helpful to know the location of certain plant types so that your sprinkler installer can get the right heads or emitters in the proper place. It is important to find experienced, professional contractors who can both design and implement an irrigation system that is perfect for your business or home. This is why property owners choose our San Luis Obispo landscapers. They know that our company will do the job fast and do it right the first time, every time. Every renovation or you make in your home or business is a major investment. Having a fully functional durable sprinkler your system in your yard automatically increases the value of your property and make it more attractive to potential buyers. There are even greater benefits for business owners. 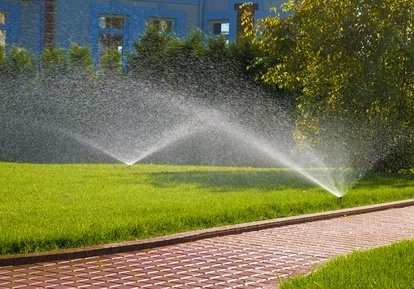 Below are some advantages of owning a home or business irrigation system for your property. 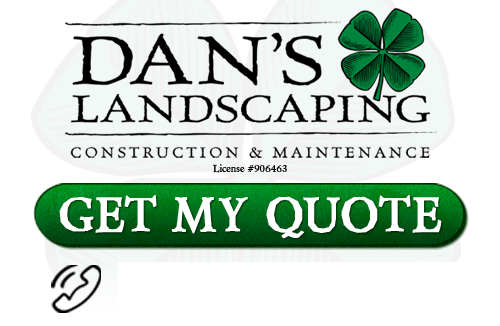 AT Dan’s Landscaping Company, every member of our team works very hard to exceed all expectations from each client we work with. We take pride in every component of our company from design, to deliver, and installation, and final finish. It is our goal for you to enjoy your new landscaping, hardscaping, water features, or irrigation system long after the job is done.